You can only edit photo data if the photo has not been added to the drawing. – other than the drawing you are working in. And, if you have placed photos in the drawing, then these references will need to be removed. Edit Photo Info is found by selecting the More button followed by the Edit Photo Info option. 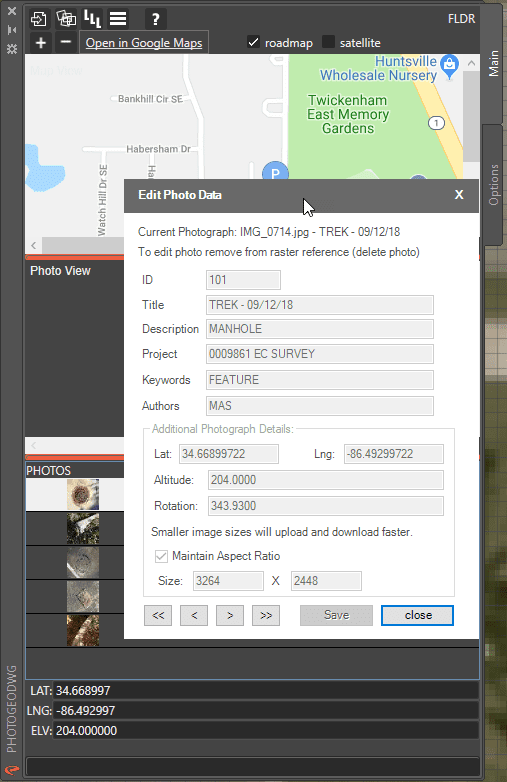 When the photo info dialog opens all of the fields are disabled. This happens when the photo is already referenced in one or more opened drawings – usually this is the drawing you are working in. To enable these controls. You will have to first remove the image reference from your drawing. To remove the reference, open the drawing references dialog. You can do this from External References ribbon menu located on the Insert ribbon. 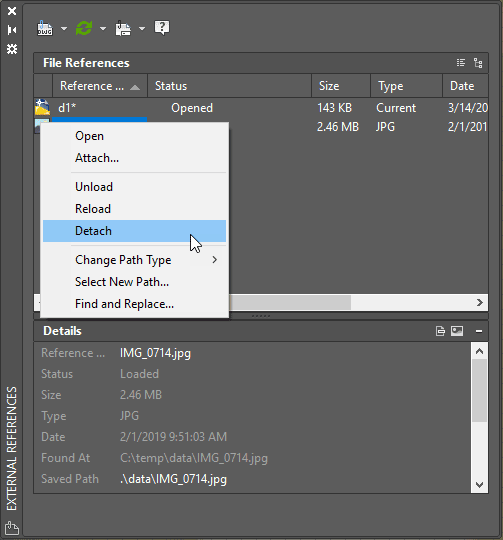 From the External References palette, select the image you want to remove and then right click and select the detach option This will remove the reference. 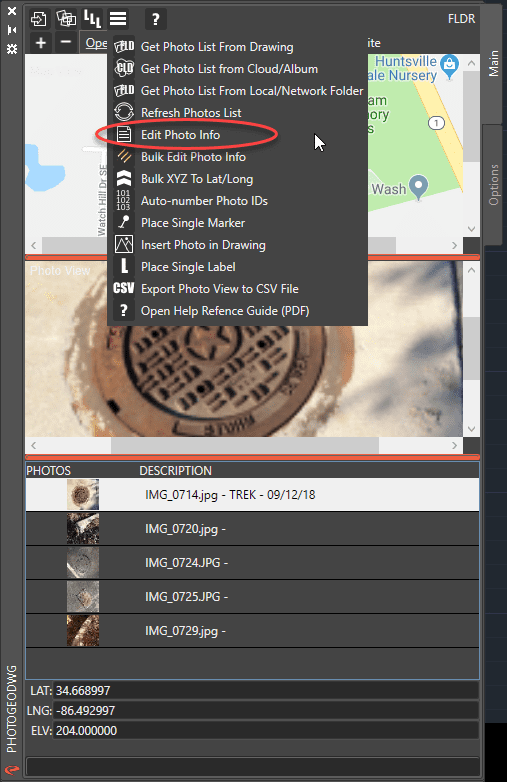 You can now return the Photo Edit Info dialog and make changes to the photo data.